Kids are spending more time staring at screens, but there's little scientific research about how it affects their health and development. Some lawmakers hope to change that. A bill introduced last week in the Senate with bipartisan support would authorize the director of the National Institutes of Health to conduct and support research into how early exposure to technology can impact child development. The bill, called the Children and Media Research Advancement Act, seeks to spend up to $95 million on research, including long-term studies, over the next five years. The studies will explore a handful of mediums, from social media, apps and games to movies, mobile devices and virtual reality, and its effect on infants, children and teen cognitive and physical health. The research would also inform parents and policymakers about issues today's youth faces in the digital age, including bullying and depression, according to Senator Ed Markey of Massachusetts who introduced the bill. "What we feed the minds of children is as important as what we feed their bodies. We need to understand it as best we can," Michael Rich, an associate professor of pediatrics at Harvard Medical School, told CNNMoney. "We need to use data to project forward what can create the healthiest and safest environment in which we are raising kids and interacting with each other." This isn't the first time a bill like this has been introduced. A version of the bill, introduced in 2004, called for research into the effects of technology on children. The bill did not pass. But Rich, who is also founder and director of the Center on Media and Child Health, said he's hopeful the reintroduced version of the bill will pass. 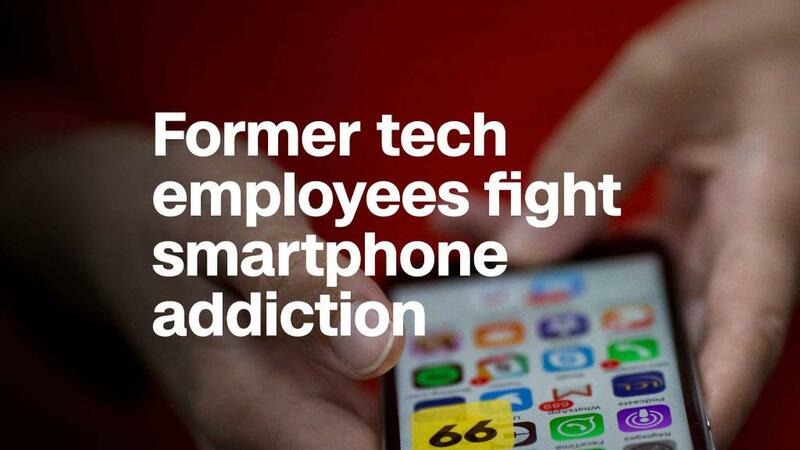 Tech addiction has become top of mind in Silicon Valley as companies reexamine the impact of the platforms they've helped create. Earlier this year, former employees at companies such as Google and Facebook formed a new organization called Center for Humane Technology focusing on the issue of rethinking and redesigning tools to be less intrusive on humanity. Facebook and Common Sense -- a nonprofit that advocates for kids and families in the digital age -- are among those who have endorsed the bill. "Without good research, we are performing an unprecedented experiment on our kids," James P. Steyer, founder and CEO of Common Sense, in a statement. Even if the bill passes, Dean Eckles, an assistant professor in the MIT Sloan School of Management, warns that -- similar to the nutrition field -- "credible, rigorous research is difficult in this area." Other factors such as a person's preferences or genes and the rapid pace of tech changes make it challenging for researchers to draw conclusions. In the meantime, companies such as Apple are leaning in to the "time well spent" movement. In June, Apple (AAPL) teased an iOS update that allows users to track how much time they're spending on their phones and apps each day. The concept aims to educate users' about their consumption habits. According to a 2017 report from Common Sense, kids under the age of 8 spent about 48 minutes a day using mobile devices, up from 15 minutes a day in 2013.